This quiet apartment is located in a pedestrian residence, very wooded. You will enjoy two sunny terraces, proximity to downtown and the medieval town (5 minutes walk) with its great restaurants, the Archipelago of the aquatic complex (3 minutes away), the Cahors Blues Festival (July) and all summer events. The Lot offers all its riches within an hour by car: Saint-Cirq-Lapopie most beautiful villages in France, Rocamadour, the Padirac, Pech-Merle caves, small markets in the heart of picturesque villages. A pleasant 10 minute riverside walk to the center of historic Cahors from a secluded development. A very clean, well-equipped secure unit. Loved having two patios for morning and afternoon sun. Really appreciated the courteous and very responsive owners, always available to answer any questions. We'll be back! The title says it all. We love Cahors with one exception, parking is a nightmare. However this apartment comes with convenient parking. The apartment itself is very comfortable and we felt at home at once. The kitchen and bathroom are very modern and the entire flat is of good quality. The second bonus after parking is the two large balconies which allows guests to get breakfast in morning sunshine and aperitifs in the afternoon sun. The unit is very well appointed, clean and has everything you need to enjoy your stay. The owner Christian met us, explained how everything worked and made us feel very welcome. The unit is located in a quiet area and is only 2minutes walk to the center of town. The bedding was excellent and we enjoyed a few wines on the balcony. We would have no hesitation in recommending this as a suitable place to stay in Cahors. The apartment was very good. It is situated in a quiet residential area with garage available or parking within the residential complex. The old part of Cahors was easily reached on foot, via the Pont Neuf. The apartment was comfortable and well equipped. We chose the flat because it had two bed rooms but we did not expect to get two lovely balconies as well! It is a really nice flat in a quiet residential area of Cahors, near the river and within easy walking distance of the whole of the town. Cahors is within easy reach of lots of lovely places to visit and we really enjoyed our stay. Our host was charming, showing us how everything worked and where to dine at night. Thank you for a lovely stay in Cahors and a lovely bottle of wine to toast our stay with in the evening! 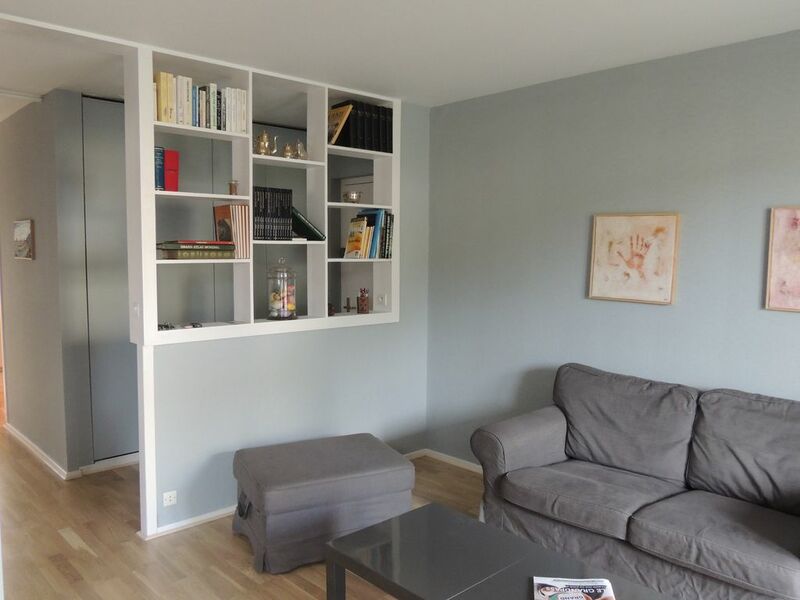 Location très agréable dans un appartement plein de charme, au calme, bien équipé et idéalement situé à proximité du centre historique. L’accueil a été convivial .Par ailleurs, avons apprécié de disposer d’une place de stationnement. Nous recommandons vivement cette location. A 5 minutes walk from the medieval town of Cahors, St Cirq Lapopie, most beautiful village in France to 30 minutes, Rocamadour and the Padirac less than an hour.